Former attorney general Jody Wilson-Raybould told the House of Commons justice committee last week that she faced political interference over a deferred prosecution agreement involving SNC-Lavalin. Gerald Butts, the former principal secretary to Prime Minister Justin Trudeau, gave the committee his testimony on Wednesday. CTVNews.ca breaks down their explanations of the chain of events that led to both Wilson-Raybould and Butts resigning from their positions. The quotes below are taken from the written and oral submissions Wilson-Raybould made to the committee on Feb. 27 and the ones Butts made on March 6. Butts: “We did what any responsible government would, of any political stripe. We worked as hard as we could, strictly within the laws and conventions of the country, to protect thousands and thousands of Canadian jobs. The Prime Minister did the right thing, in the right way, for the right reasons. As did his staff and colleagues. ... I am firmly convinced that nothing happened here beyond the normal operations of government." 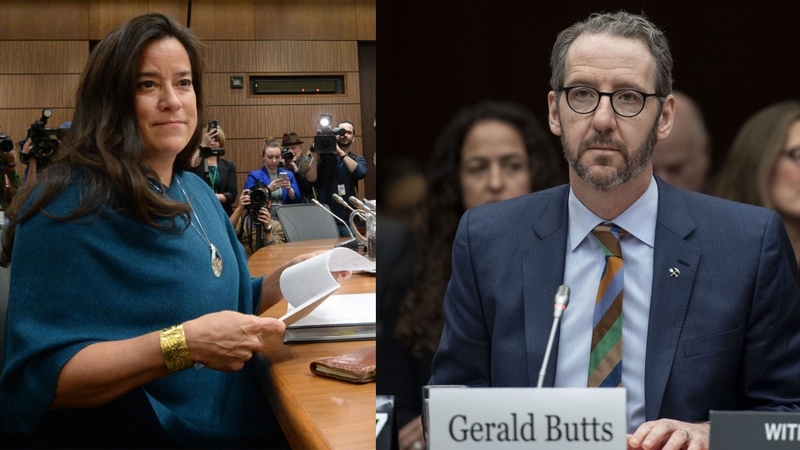 Jody Wilson-Raybould and Gerald Butts.